Optimizing your business website for search is crucial and attaining a higher ranking in the SERP is an excellent means to advertise and reach out to potential customers. Many studies are done and a lot has been written about the ways to improve the website ranking for specific keywords. But unfortunately, there exists a lot of misinformation about how to improve the ranking of specific keywords. Today, I will discuss some key points and address them in details so that you can follow them to drive your rankings higher and receive more traffic from organic search. 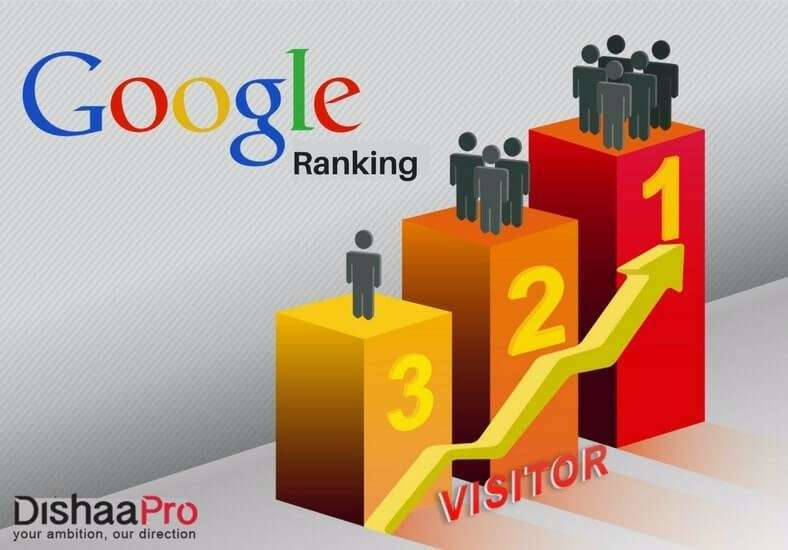 This step by step process is meant as a framework for those who are willing to rank their site on top based on some chosen keywords. The most common mistake that webmasters make is that they think they know what keywords they should target on the basis of their instincts. Keyword research can be both simple and a hard task. So, use various keyword tools to get an idea of the search volume for the keyword and also check the competition before finalizing the key phrase. If you are looking forward to attaining a higher ranking in the search engines, then use a keyword theme to solve many issues. Instead of choosing a single keyword, a better option is to rank for lots of keywords that are focused around the same theme. If it is done in the right manner, the results are simply amazing. URLs and the domains: Is your chosen keyword included in every URL in the top 20? Are there exact match domains? The content type: It’s time to check the product pages, promotional content, videos and blog posts that can help the keywords to rank. The titles: Find out how the keywords are incorporated in the title tag. Businesses that are ranking: Check if there are huge bands or small businesses using the keywords. All your website pages should be unique and solve a specific purpose. The message, purpose and the keyword of each page must be mentioned in the page title. The meta description should describe what the page is about. Long tail keywords often help to gauge the searcher’s intent easily and help to serve the audience looking for the service or products. Intent plays a vital role in ranking a site and consider the keywords to guess the intent from the words and the carefully chosen keyword will always offer the best search results. The next big thing is to plan for the actual content and various means to rank for the keyword. For this, you can choose an article, blog posts, authoritative guide, video, an infographic and etc. Create a rich content that includes all your keywords so that it becomes the best way to answer a search query. While stuffing the keywords, make sure that you are following Google guidelines as it will help to increase your ranking. This is an important step and should come immediately after the content is published. Ensure that your content is before the audience even before it has a chance to rank for the keywords. Share your keyword rich content, though business’s social accounts like Facebook, Twitter, Google+, Linkedin and etc. Promote independent sharing by using social widgets or buttons. After you are done with publishing and promotion, analyze the content to check if it is well optimized. Check the keywords ranking manually and use your analytics to find the keywords that your content is actually ranking. They might not be the ones that you have targeted. Also make sure that your content is truly optimized, of high quality and is visible. SEO has a great impact on the success of your online store and the good news is that if you follow the above-mentioned tips and use some basic tools, you will take less time to tune up your site and grow your customer base with your search results. If you are interested in this rewarding career, then we at DishaaPro can surely help. We are a leading Digital Marketing training institute operating in Delhi/NCR and Bhubaneshwar. All our courses will help you to gain expertize in technique and strategy that various business organizations demand.